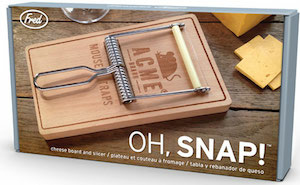 Cuts your cheese and helps you snap! Not angrily snap, but the good type of snap. You know, snap, snap, snap, CHEESE!